I dye 6 lines of semi-solid wool and wool/mohair yarns, hand dyed falkland top for spinners, and I write patterns. I also have a book – Knit One, Embellish Too. I started making art hats 6 years ago! And shortly thereafter started an etsy shop and a blog about my thesis. It has morphed into what I do now. I started knitting after college. 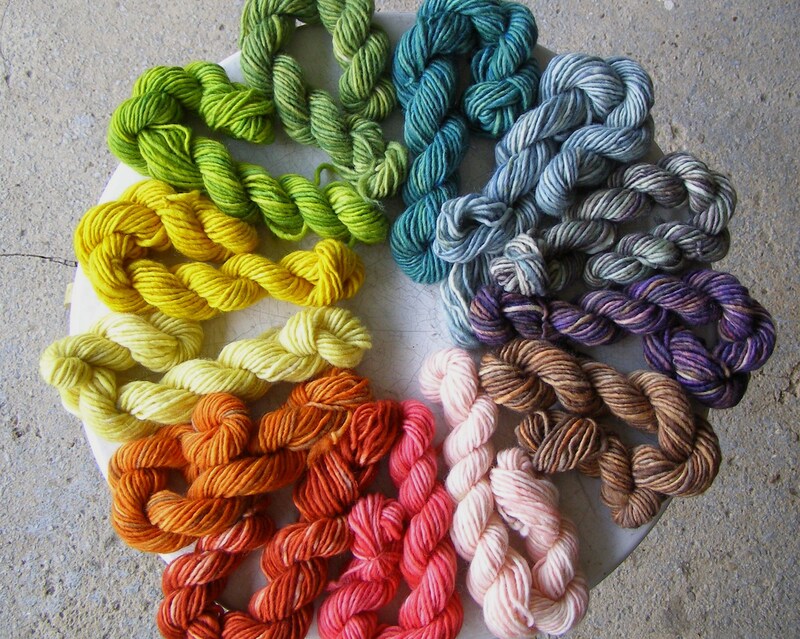 When I moved to go to graduate school, the yarn shop near my house offered spinning and dyeing lessons. It went downhill (or uphill) from there. 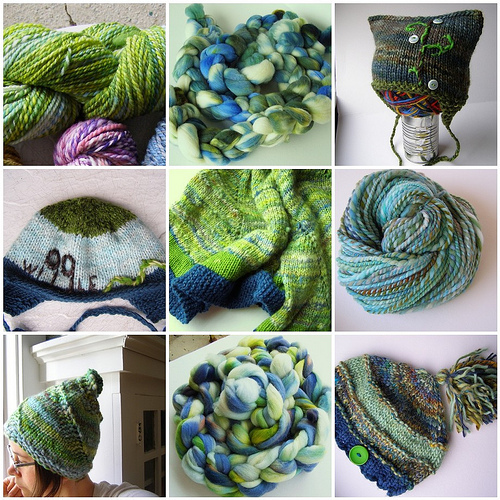 I have an undergraduate degree in art, so color, texture, history and so many things make knitting, spinning, dyeing and designing pleasing and deep to me. 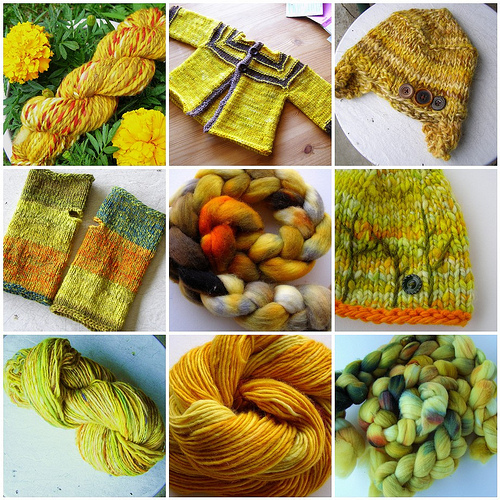 Besides offering the things I make up and dye up, I am also attempting to offer a space for more community – both through cosymakes studio and through Indie Knit and Spin. Right now it means I can work around my husband’s schedule and my baby’s schedule and still keep my business even thought I’m no longer doing it full time. In short, it’s an awesome job for me as a young mama. I wind balls by hand at the speed of light. I encourage and empower others to do fiber arts.